The firm drew up plans for an eight-pointed star that would pay homage to Montana, including features such as a copper frame and the state flower, a bitterroot, at the center. 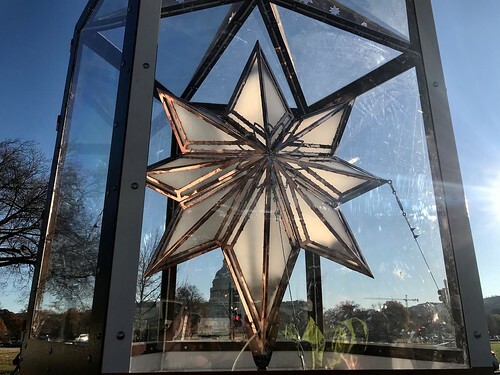 The actual fabrication of the star took place at a shop in Belgrade, Split Mountain Metals, which spent three weeks and more than 1,000 man-hours constructing the five-foot, ninety-pound tree topper—possibly one of the biggest stars ever made for a live Christmas tree. It’s so large that it will be a challenge to install it. However, according to Capitol Grounds Superintendent Ted Bechtol, for the Architect of the Capitol this presents an exciting challenge. Because Beauty of the Sky has a split top, installing the massive star might not be too great a problem to overcome. 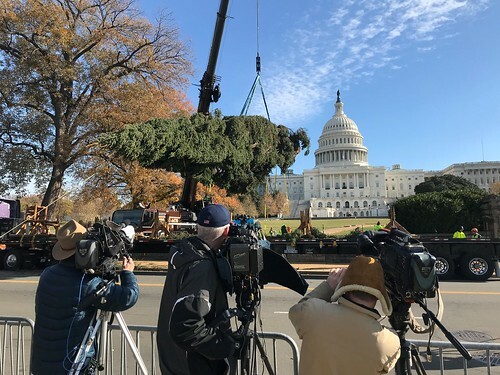 The official tree lighting will be hosted by the Architect of the Capitol with members of the Montana Congressional Delegation speaking as well as USDA Secretary Sonny Perdue. 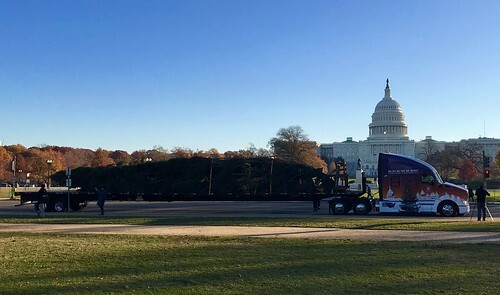 Speaker of the House Paul Ryan presides over the ceremony, which will begin at 5:00 p.m. on Wednesday, December 6th on the West Lawn of the Capitol. This is so exciting! Being a Butte Native--and I so miss Butte--is giving me nostalgic moments here in Boston. Do you have a book or anything for sale about this tree or the Copper Star? I'm hoping that someone can let me know where I can purchase replicas of the star. I worked at USDA in the mid-1970-early 1980's. I started a the ERS, and then moved to the Administration Building, right off the Patio and worked for the Budget Office. Many memories being stirred up during this season, especially with the Montana Tree and Star! I submitted a post before, but don't believe it went through. Is there any kind of donation that I can donate in name of my brother. He is a 33yo veteran of.the Marines Corps. Any information would be helpful. Any links would be.great, and also would like to know if service info is needed to request on half of my brother for a donation, and also if donation notice are sent to veterans. He also did have active duty in Afghanistan, I believe. I can request the information to find out for sure. Thanks. I saw the tree over the weekend-it truly is a "beauty of the Big Sky"! Love to see such a fantastic contribution from my home state. Congrats to the folks in Montana and especially the Kootenai on their a wonderful achievement!